The 18-hole Blue/Orange at Delaire Country Club in Delray Beach, FL is a private golf course that opened in 1979. Designed by Joe Lee, Blue/Orange at Delaire Country Club measures 6687 yards from the longest tees and has a slope rating of 136 and a 72. The 18-hole Boca Delray Golf & Country Club in Delray Beach, FL is a private golf course that opened in 1983. Designed by Karl Litten, Boca Delray Golf & Country Club measures 3071 yards from the longest tees. The course features 3 sets of tees for different skill levels. Greens and fairways are bermuda grass. The 18-hole Brown/Blue at Delaire Country Club in Delray Beach, FL is a private golf course that opened in 1979. Designed by Joe Lee, Brown/Blue at Delaire Country Club measures 6635 yards from the longest tees and has a slope rating of 140 and a 72. The 18-hole Delray Beach Golf Club in Delray Beach, FL is a public golf course that opened in 1926. Designed by Donald Ross, Delray Beach Golf Club measures 6907 yards from the longest tees and has a slope rating of 119 and a 72. The 18-hole Kings Point Executive Course in Delray Beach, FL is a semi-private golf course that opened in 1972. Designed by Robert Trent Jones, Sr. , Kings Point Executive Course measures 3756 yards from the longest tees. The 18-hole Kings Point Par-3 Course in Delray Beach, FL is a public golf course that opened in 1973. Designed by Robert Trent Jones, Sr., Kings Point Par-3 Course measures 2149 yards from the longest tees. The greens are bent grass and the fairways are bermuda grass. The 18-hole Lakeview Golf Club in Delray Beach, FL is a public golf course that opened in 1970. Designed by Bill Dietsch, Lakeview Golf Club measures 3001 yards from the longest tees and has a slope rating of 85 and a 57 USGA rating. The 18-hole Legends at Gleneagles Country Club in Delray Beach, FL is a private golf course that opened in 1985. Designed by Karl Litten, Legends at Gleneagles Country Club measures 7047 yards from the longest tees and has a slope rating of 141 and a 74. The 18-hole Little Club in Delray Beach, FL is a private golf course that opened in 1969. Designed by Joe Lee, Little Club measures 2089 yards from the longest tees. The course features 2 sets of tees for different skill levels. Greens and fairways are bermuda grass. The 18-hole Mizner Country Club in Delray Beach, FL is a public golf course that opened in 1999. Designed by Arnold Palmer and Ed Seay, Mizner Country Club measures 7190 yards from the longest tees and has a slope rating of 149 and a 74.6 USGA rating. Greens and fairways are bermuda grass. The 18-hole Orange/Brown at Delaire Country Club in Delray Beach, FL is a private golf course that opened in 1979. Designed by Joe Lee, Orange/Brown at Delaire Country Club measures 6644 yards from the longest tees and has a slope rating of 133 and a 72. 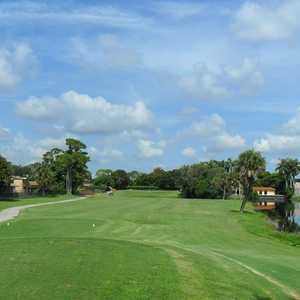 The 9-hole Redemption Golf Course at Addison Reserve in Delray Beach, FL is a private golf course that opened in 1996. The greens are bent grass and the fairways are bermuda grass. The 9-hole Salvation Golf Course at Addison Reserve in Delray Beach, FL is a private golf course that opened in 1996. The greens are bent grass and the fairways are bermuda grass. The 18-hole Seagate Country Club in Delray Beach, FL is a private golf course that opened in 1973. Designed by Joe Lee and Rocky Roquemore, Seagate Country Club measures 6552 yards from the longest tees and has a slope rating of 130 and a 71. The 18-hole Sherwood Park Golf Course in Delray Beach, FL is a semi-private golf course that opened in 1959. Sherwood Park Golf Course measures 3733 yards from the longest tees. The course features 2 sets of tees for different skill levels. Greens and fairways are bermuda grass. The 18-hole St. Andrews Club in Delray Beach, FL is a private golf course that opened in 1973. Designed by Pete Dye, St. Andrews Club measures 1784 yards from the longest tees. Greens and fairways are bermuda grass. 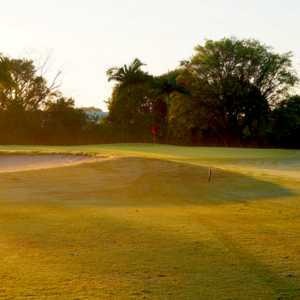 The 9-hole Trepidation Golf Course at Addison Reserve in Delray Beach, FL is a private golf course that opened in 1996. The greens are bent grass and the fairways are bermuda grass. The 18-hole Victory at Gleneagles Country Club in Delray Beach, FL is a private golf course that opened in 1985. Designed by Karl Litten, Victory at Gleneagles Country Club measures 6066 yards from the longest tees and has a slope rating of 133 and a 70.